There was nothing in my incomplete paintings which could say Omkar you need to find this or that……… I use to spend hours at sea-shore expecting a wave should tell anything about my images……Well, what should I expect from any one and why I need to make a desire ? My eyes again looked those waves which comes without fail…….This was the usual thing only, why I am looking them so keenly ? I just turn my face from them and shut my eyes, waves gently passed near my feet and today I felt it has caught my feet…….Something has sticken on my feet and my eyes find an anklet and a bare beautiful feet……. Omkara : Oh! I see [I hand over it to her and gently she touched my finger and we looked at each other’s eyes] Mmmh……Do you know me ? 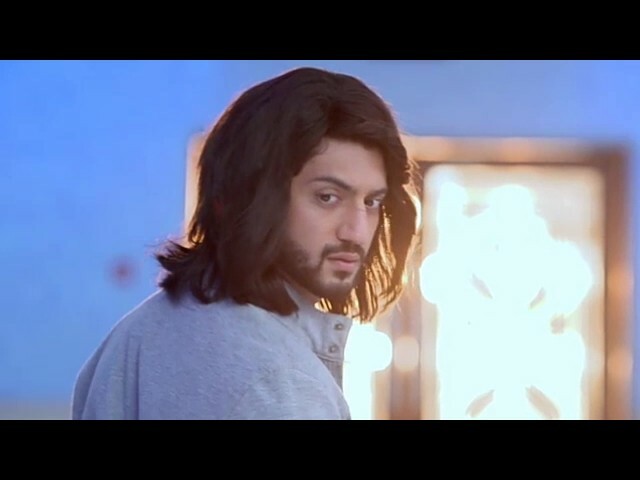 Omkara : Excuse me, Omkara is enough…..This title Mr. Omkara seems to be so formal ……So pls…..
Omkara : Ishana!!! Oh God!! How could I forget you ?? You performed at the arts hub fest on my poetry……. Ishana : So finally you got me…….Hai…..
Ishana : Omkara, You need to give a shake hand as now we are not strangers…..
Ishana : So this year you won’t came up any exhibition , fest …..Why ?? Omkara : Mmhh….. I …..I.. Ishana : Nothing …..I really like your works…..
Ishana : By the way, I comes at this place at evenings for dancing……. Ishana : Your eyes simply glares those waves , seems you both are intimate friends…..
Hum bas gawah hein iss khel ke naa hee hum khiladi hein aur naa hee hum saathi hein” [ Ishkara looked at each other’s eyes] Are you getting bored ? Omkara : Really ?? You are fond of my poetry ? Omkara : But I wish to know about them……. Ishana : I am sorry, I am getting late…….I need to go now…..
Omkara : So when we will meet ? Omkara : Sure, You will come , won’t you ? She left away with a beautiful smile……..Again my eyes went on the roaring waves….. As usual they are floating and passing near me, but I can’t find any sort of muse in them…..They simply comes and passes away and I am nothing just a lonely soul who is in search of colors……What I makes in canvas are mere images only, they won’t have brightness and my eyes now searches for those rhythmic feet every evenings……..But after that evening, I never find Ishana……Her eyes which grabbed my heart;s silence, which find the depth of my words and which brought life to my paintings, I am searching her madly here and there……..Ishana, I am waiting for you……..My heart is fuming in pain and I am missing you badly…….. My ears are losing the ability of hearing as I am able to hear screams of painful nights only……Her dance was able to heal my pain, but as now entire world is dark for me, she can’t come near me ……..Her promise still raise me to a ray of hope…….But really I don’t know whether I can find world of colors ?? AN : I was much confused whether I will be ever able to make a come back at TU as a writer………Sudden lose of my room mate made me much depressed from heart and with much difficulty I gained myself back to a normal state……My ill-health also troubled me much and kept me away from TU as well as from ISHKARIANS……. I wrote this one with much pain and it happened only because of my real life ishqbaaz only……He demanded me to write when I know he is undergoing a tough phase and it is making me much sad, he insisted me to write and somehow I made this short story for ISHKARA………I don’t know whether this was upto the mark , but whatever I wrote it’s for him ……… I am really sorry for not giving updates of shadow and spring as well as rumya ff life’s equation…….I will try my level best to write them in upcoming days…..But I can’t assure whether I can do it or not…….Thanks to all those friends who read and liked my ff’s……Thanks a lot…….If possible pls forgive your Renima……. when the painter om searched for inspiration om seeing ishana’s feet n anklet were lovely.loved their meeting.oh they have already met at the art club.their conversation was lovely.liked ishana saying he should explore the world of colours n she will come to fill it with rhythm.sad that though every evening near the sea om waits for ishana she never came. I know that the story is over.still I wonder where she is n why is not coming.om is hoping that she will come as she promised to come.I also hope for that.this os was poetic n beautiful. pics added more beauty to the story. sad to know that you are going through a sad phase.May God give you strength. Thanks a lot, i will try to pen for rikara……. Hello Reni akka..How are you..? Amazing Os..everything is so beautiful and the end is painful.. I am also good akka..Thank you and Belated Happy diwali to you too..